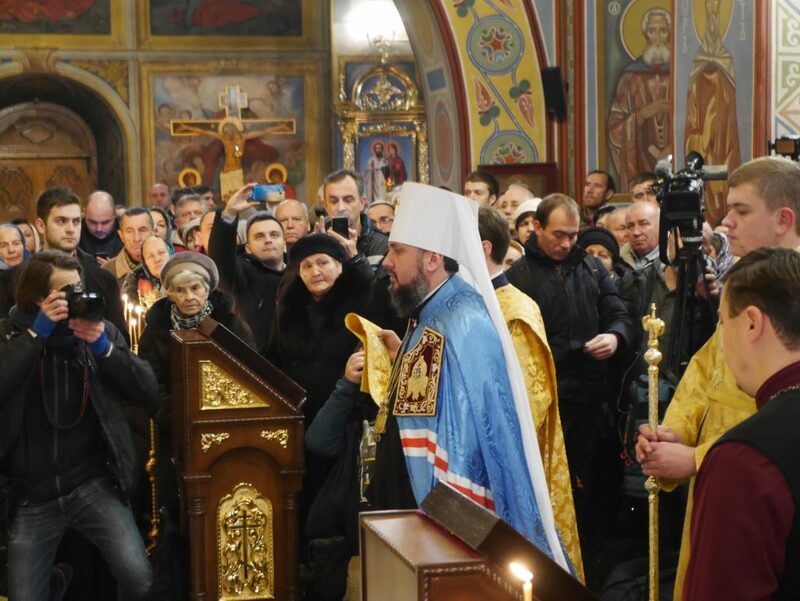 The independent Orthodox Church of Ukraine has become a reality, and that event can be considered as one of the most important in the history of independent Ukraine, not only spiritual but also political. Undoubtedly, it is a success of Petro Poroshenko, whose pools went up after the establishment of the new Orthodox Church, according to the latest surveys. Will the Tomos of autocephaly help him to win the election scheduled for the end of March? There are a couple of questions more. The most important of them is: how will the development of the Orthodox Church of Ukraine look like and will it be recognised by the Orthodox Christianity around the world? On January 6th in St George’s Cathedral in Istanbul, Bartholomew I of Constantinople and Metropolitan Epiphanius signed the Tomos of autocephaly. It happened after the celebration of the Divine Liturgy. The signing of the Tomos officially established the Orthodox Church of Ukraine. It is the end of the formal process of creating a new autocephalous Orthodox Church, but it is only the beginning of the process of creating a universal Orthodox Church, which will govern all of Ukraine. Nevertheless, the independent Orthodox Church will have to face many problems that arise primarily from the negative attitude of the Russian Orthodox Church (Moscow Patriarchate) and its superior – the Russian Orthodox Church. None of the churches accepts recent events. Russian politicians do not accept them either. Obtaining autocephaly did not take much time – especially taking under consideration the earlier Kyiv attempts. At the end of the USSR, when the revival of religious life took place, the Ukrainian Greek Catholic Church and the Autocephalous Orthodox Church renewed its activities in Ukraine. Moreover, the Ukrainian exarchate demanded more freedom and giving Kiev the autocephaly. In January 1990, the Synod of the Russian Orthodox Church in Moscow fulfilled these demands only partially – the name “Ukrainian Orthodox Church” was authorised, and the institution gained some freedom in case of the organisation of internal religious life in Ukraine. Soon the privileges were strengthened – it looked like a kind of independence. Well, almost. At the same time, the Russian Orthodox Church rejected the possibility of giving a full autocephaly to the Ukrainian Church. The views of the Russian Orthodox Church and some disagreements between the Ukrainian and Russian hierarchs led to the division and the founding of the Ukrainian Orthodox Church-Kyiv Patriarchate in 1992. As a result, there were three Orthodox Churches in Ukraine until December 2018: the Russian Orthodox Church (Moscow Patriarchate), the Ukrainian Orthodox Church-Kyiv Patriarchate and the Ukrainian Orthodox Church, while the Russian Orthodox Church (Moscow Patriarchate) and its superior, the Russian Orthodox Church, were not recognizing the canonical nature of the two other Churches. It seemed that a breakthrough could take place in 2008, and the process of recognition of the Ukrainian Orthodox Church-Kiev Patriarchate will be initiated. This idea was strongly supported by President Viktor Yushchenko. During the celebration of the 1020th anniversary of the Kievan Rus’ baptism, the Patriarch of Constantinople, Bartholomew I, arrived in Kyiv. The attempts to unite the Ukrainian Orthodox Church-Kiev Patriarchate and the Ukrainian Orthodox Church, despite the support of the authorities, turned into a failure. It was a reason for people to be sceptical, when, President Petro Poroshenko met with representatives of the parliamentary factions on April 17, 2018 and announced that Ukraine would soon receive a Tomos. Earlier, on April 9th, the president went to Istanbul, where he met with Patriarch Bartholomew I. The cause of his visit became clear on April 17th. Co-chair of the Opposition Block – Vadym Novynskyi, involved in support of the Russian Orthodox Church (Moscow Patriarchate), expressed his belief that the Patriarch Bartholomew I would not support Poroshenko’s initiative, and the president “is cheating the nation.” Others accused Poroshenko of using autocephaly for political purposes in connection with the upcoming elections. Indeed, president Poroshenko undoubtedly needed the success and receiving the Tomos sounded perfect. President’s ratings deteriorated significantly after the New Year when the information about half-million-dollar worth vacation of Poroshenko’s family in the Maldives leaked out. However, the Tomos was first of all needed by Ukraine, the Ukrainians and the faithful who wanted to become independent of Russia. It meant, however, strong opposition from the Russian Orthodox Church (Moscow Patriarchate) and conflict not only with the Russian Orthodox Church but in fact with Russia. The Kremlin immediately stood up for unity, understood as the subordination of the Ukrainian Church. However, the process started. The Ukrainian Orthodox Church-Kiev Patriarchate and the Ukrainian Orthodox Church supported the president’s initiative. On April 19th, the Verkhovna Rada of Ukraine also spoke in favour of the idea. The Press Secretary for the President of Russia Dmitry Peskov declared on April 19, 2018, that Russia does not support actions “aimed at breaking up the Church”. – I want to underline that the Orthodox Church of Ukraine, a universal and autocephalous Church, is a key element of our statehood and our independence. The army defends the Ukrainian ground, the language defends the Ukrainian heart, and the Church defends the Ukrainian soul – the president of Ukraine responded to the Russian allegations in the popular talk-show Freedom of Speech on the ICTV channel on April 23rd and added: “Currently we see a fatal situation – Ukraine is the canonical territory of the Russian Federation. Are these not territorial claims? Most Ukrainians and I are convinced that the canonical territory of Ukraine is Ukraine. There are no other possibilities. Regardless of criticism and threats from the Russian Orthodox Church (Moscow Patriarchate), the Russian Orthodox Church and Russian politicians, the following months proved that autocephaly is within reach. It was confirmed primarily by the activities and determination of Constantinople. It all depended on The Ecumenical Patriarchate of Constantinople whether the Orthodox Church of Ukraine would receive autocephaly. Cyril, the Patriarch of Moscow, met the Patriarch of Constantinople and tried to persuade him to postpone the decision on Ukraine. Bartholomew I, however, did not agree and at the beginning of September, the Holy Synod of the Patriarchate of Constantinople took place. It was proved that the Patriarch of Constantinople still has the legal rights to the territory of Ukraine. In September, Patriarch Bartholomew I of Constantinople appointed two of his exarchs in Ukraine. Their tasks were to organise talks on issuing autocephaly and helping in the process of the unification of the Orthodox Church of Ukraine. On October 11, the synod of Ecumenical Patriarch of Constantinople in Istanbul decided to issue a Tomos on autocephaly to Ukraine. An important decision was lifting the anathema against the leaders of the Kyiv Patriarchate and the Ukrainian Orthodox Church, and thus the recognition of these two Orthodox Churches as canonical. It meant the restoration of the religious authority of Patriarch of Constantinople over Ukraine. Replying to the allegations of the representatives of the Russian Orthodox Church it was underlined that until 1686, the Eastern Orthodox metropolitan bishops of the Kyiv Metropolis were subordinated to the Patriarchate of Constantinople. Then Constantinople allowed the Patriarchate of Moscow to manage the Kyiv metropolis temporarily. That is why the Patriarchate of Constantinople considers itself imperious to give the Ukrainian Church autocephaly. The October Synod in Constantinople cleared the field, i.e. gave the green light for the creation of the autocephalous Church in Ukraine. The next step should have been the Unification Council of the Orthodox Church of Ukraine. The representatives of the three Orthodox churches operating in Ukraine should have participated in it. The main question was of the participation of the Russian Orthodox Church (Moscow Patriarchate). Before the Unification Council of the Orthodox Church of Ukraine, the new Orthodox Church was to receive its statute. Initially, it was assumed that the participants of the Council would write it themselves but attempts to create a document caused tensions between the representatives of the Ukrainian Orthodox Church-Kyiv Patriarchate and the Ukrainian Orthodox Church. As a consequence, the Ecumenical Patriarchate of Constantinople itself took up the writing of the statute. On November 29th, the document was approved during the synod in Istanbul and submitted to Kyiv. It only confirmed the opponents’ opinion that the new Orthodox Church will be fully dependent on Constantinople. Above all, it was pointed out that the head of the Orthodox Church of Ukraine would not bear the patriarch’s title, but the metropolitan title – a strong example that he would be subordinated to the Patriarchate of Constantinople. However, as Ukrainian experts pointed out, this is the traditional title of the person who is the head of the Kyiv Cathedral. Moreover, a present patriarch may become a future metropolitan. When the new Orthodox Church becomes stronger and truly universal, a change may occure. What is even more important, the statute states that the Ukrainian Orthodox Church is autocephalous and guided by the Holy Scriptures, canons, Tomos and statutes. As Ukrainian journalist Roman Romaniuk from the Ukrayinska Pravda, who was closely following the process of issuing autocephaly, pointed out, the role of Constantinople would be the role of an arbitrator. Eventually, the Council was scheduled for December 15th. It was said that it could be attended by ten bishops of the Russian Orthodox Church (Moscow Patriarchate). Finally, only two of them appeared. The observers seemed to think that the process of approving such a complex institution, which is a new Orthodox Church, ran extremely fast – it took only one day. However, there was a fierce battle during the Council. Filaret, the patriarch of Ukrainian Orthodox Church-Kyiv Patriarchate gave up the claims to become the head of the new Church under the influence of Constantinople, but at the same time, he proposed his protege, a 39-year-old bishop Epiphanius. The protege once was a seminarist. With the Filaret’s support, he became the metropolitan and rector of the Theological Academy. Nevertheless, it turned out during the Council that Epiphanius had competitors. Mikhail, the Metropolitan of Lutsk and Volyn of the Ukrainian Orthodox Church-Kyiv Patriarchate decided to stand as a candidate. It surprised Filaret, who expected the Ukrainian Orthodox Church-Kyiv Patriarchate to support Epiphanius. 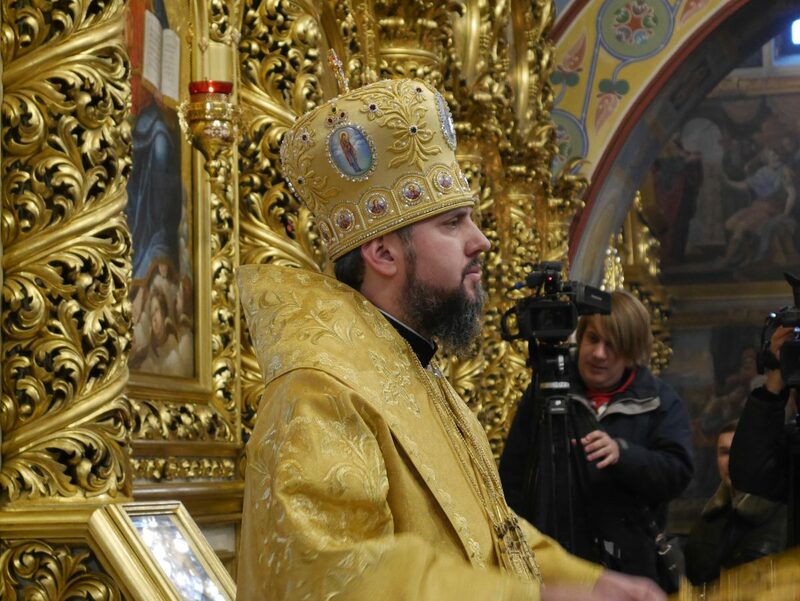 Moreover, unexpectedly one of the present bishops of the Russian Orthodox Church (Moscow Patriarchate) decided to run in the elections – Simeon, the Metropolitan of Vinnytsia. The first round of voting resulted in 80 votes for Epiphanius, 50 for Simeon and 30 for Mikhail. Reportedly, Filaret even threatened to leave the Council if Mikhail did not withdraw his candidacy. Poroshenko also intervened and tried to persuade Mikhail to make concessions. Ultimately, the Metropolitan of Lutsk and Volyn agreed, and Epiphanius became the primate of the Orthodox Church of Ukraine. Then everything went on as planned. On January 6th in Istanbul, during the solemn liturgy, Bartholomew gave the Tomos to Epiphanius. The Tomos was signed the day before. The Orthodox Church of Ukraine was established. However, the formal establishment of the Orthodox Church of Ukraine (OCU) is just the beginning of the path to the creation of the Orthodox Church, which will be able to attract the majority of Orthodox faithful in Ukraine. According to data from January 1, 2018, there were 12,348 parishes of the Russian Orthodox Church (Moscow Patriarchate), 5167 of the Ukrainian Orthodox Church-Kyiv Patriarchate, and 1167 of the Ukrainian Orthodox Church in Ukraine. The most important question is: how many of the faithful (and how many parishes) of the Moscow Patriarchate will move to the new Church and how quickly will it happen? So far, we know that 78 parishes (as per January 18th) previously belonging to the Moscow Patriarchate joined the Orthodox Church of Ukraine since the middle of December. The sociological research carried out in March 2018 may help in making predictions. 42.6% of people declaring membership to the Orthodox Church identified themselves with the Ukrainian Orthodox Church-Kyiv Patriarchate, 19.1% with the Russian Orthodox Church (Moscow Patriarchate) and 0.4% – with the Ukrainian Orthodox Church. As many as 34.8% of the respondents claimed themselves as simply Orthodox Christians, and 2.8% said they could not define themselves. The study did not include respondents who reported membership to the Russian Orthodox Church, and those who did not answer the question. The results presented by the Razumkov Center show the significant trend observed during the research period between 2010 and 2018. One can primarily see the decline in the number of people identifying themselves with the Orthodox Church and people identifying themselves with the Moscow Patriarchate – from 34.5% to 19.1%. On the other hand, the number of Ukrainians declaring membership to the Ukrainian Orthodox Church-Kyiv Patriarchate increased – from 22.1% to 42.6%. Between 2010 and 2018, the number of people who believed that “the Ukrainian Orthodox Church is to remain part of the Russian Church” decreased significantly – from 22% to 9% (most supporters of the Russian Orthodox Church, 18% of them live in the east of Ukraine, 0.6% in the west of the country). It is also worth noting that from 72% of Ukrainians claiming themselves as believers only 58% attend masses. The level of religiousness clearly depends on the region. The majority of believers live in the west of Ukraine (91%), while in the south it falls to 59%. Perhaps the process of moving the faithful to the new Orthodox Church will be accelerated by the Law On Religious Communities’ Affiliation adopted on January 17th by the Ukrainian parliament. It assumes that belonging to a religious community is based on the freedom of choice and the statute of a given religious group. Moreover, “the state recognises the right of a religious group to its subordination in canonical and organisational matters to any religious centre operating in Ukraine or abroad, and freedom of change the membership by registration of a new statute or by making relevant amendments to the statute”. Changes in the belonging to the religious community are to take place during a general assembly called by members, during which at least 2/3 of those present will make the appropriate decision. The adopted Law legitimises the current changes in membership status made by parishioners of the Moscow Patriarchate who, by the majority of votes, decided to undergo the authority of the Orthodox Church of Ukraine only that this process does not happen peacefully everywhere. In some parishes, there are locals and some visiting priests of the Moscow Patriarchate, who decide to change the Orthodox Church, against the wishes of the faithful. The recognition of the Orthodox Church of Ukraine by other Orthodox Churches is a smaller but also a significant problem. The Russian Orthodox Church position on non-recognition of the new Church will probably last for a long time. The Russian know that the Ukrainian autocephaly means not only a reduction of religious (and indirectly political) influence in Ukraine but also an international defeat – the Russian Orthodox Church recognises itself as the centre of the Eastern Christianity. The Russian position is strongly supported by two other Orthodox Churches: Polish and Serbian, which are traditionally in close relations with the Russian Orthodox Church. The Church of Greece decided to join the Eucharistic dialogue with the Orthodox Church of Ukraine. It is expected that some of the remaining Orthodox Churches would announce their position in the coming months. With time, depending on the dissemination of the new Ukrainian Church, one can expect a wider acceptance of the new institution in the world of Eastern Christianity. Poroshenko will no doubt go down in Ukrainian history as the one who contributed to the creation of an independent Orthodox Church. However, it was known from the very beginning that autocephaly is to serve the president in his political plans. Already in the spring of 2018, i.e. 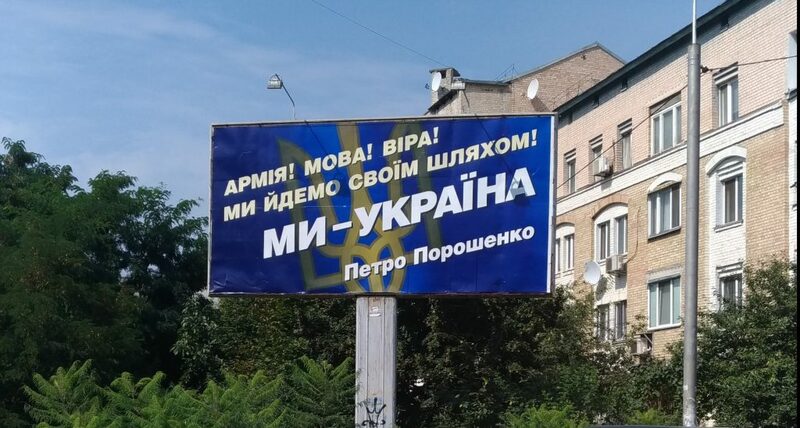 almost a year before the elections, the unofficial Poroshenko’s election campaign was based on three words: “Army, language, faith”. There is regular information in the media about new military equipment handed over by Poroshenko to the Ukrainian army. The issue of the Ukrainian language is essential for the patriotic voters – the president’s electorate. However, it is the religion – granting the Tomos to the Orthodox Church of Ukraine in such a short time, especially in the context of previous attempts – that proved to be the greatest success. It is hardly surprising that the president is trying to use that fact during the election campaign. Moreover, immediately after the establishment of the Orthodox Church of Ukraine, it brought Poroshenko measurable benefits – the support of Ukrainians increased. The sociological research conducted in the second half of December by the Foundation “Democratic Initiatives” showed that the support for the current president increased by 4% in comparison with the previous survey. The result of 13.8% gives him the second position in the pools, straight after Yulia Tymoshenko (16.1%). The presentation of Tomos in the regions of Ukraine has been underway since January 10th. Until January 17th, the document was shown in Rivne, Zdolbúniv, Lutsk, Vinnytsia, Boryspil and Zhytomyr. The President of Ukraine participates in the presentations, which makes his opponents talk ironically about the “tournée of Tomos”. 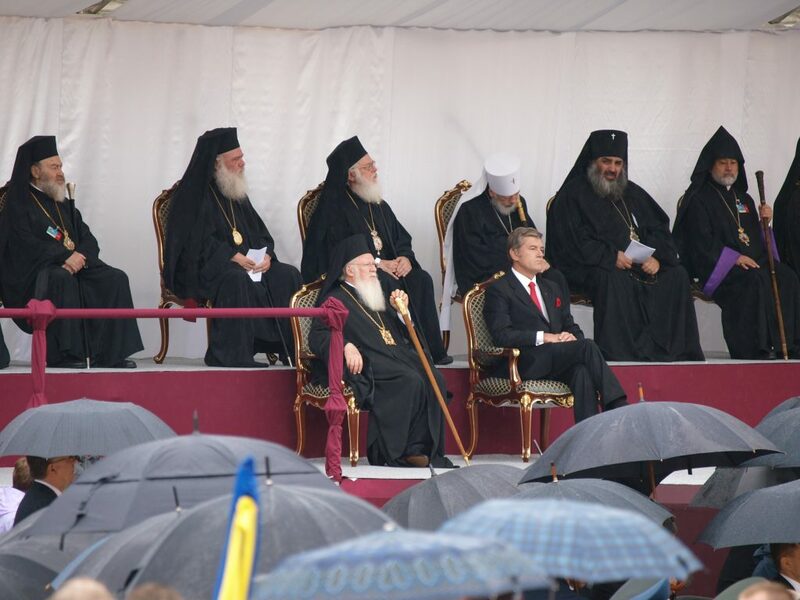 On the one hand, nobody diminishes the role of Poroshenko in obtaining autocephaly, but on the other, one can see the elements of the election campaign in the presence of the president in the Tomos presentations. Especially that the elections will come soon (interestingly, Poroshenko still has not officially registered his candidacy, it will probably happen only at the beginning of February). No one knows how will the autocephaly ultimately affect the electoral result of the current president. The Tomos itself is not enough to win. Anyway, the voters will decide on March 31th. Meanwhile, some of the president’s statements related to the Tomos are under criticism. “Our path is the EU. Our path is NATO. Our path is peace and prosperity; it is the strengthening of Ukrainian statehood and the dignity of Ukrainian citizens. I repeat once more: we showed the whole world that we could overcome difficulties. Also, once again, I will return to the Tomos: this is the victory of Ukraine and the defeat of Russia, no less important, and perhaps more important than victory on the frontline. It is the foundation of the state. That is why it is so important to us today”, Poroshenko said on January 15th. It outraged Masi Najema, a well-known lawyer who fought in eastern Ukraine.”I will not speak as a lawyer now, not even as a voter. I will speak as a soldier. It’s hard for me to imagine my parents’ feelings if I had not come back, or if I had come back without a hand or a leg, and the commander in chief would think I did not deserve to be called a winner … How could such a thing be said in a country that fights? Poroshenko turned to the religious electorate so much that he does not notice the relatives of those who died… “, Najema wrote on Facebook.